Current workaround: use the command touch in terminal to copy file modified date from one file to another. Simple, but takes time to do. Minor problem, but slightly annoying. 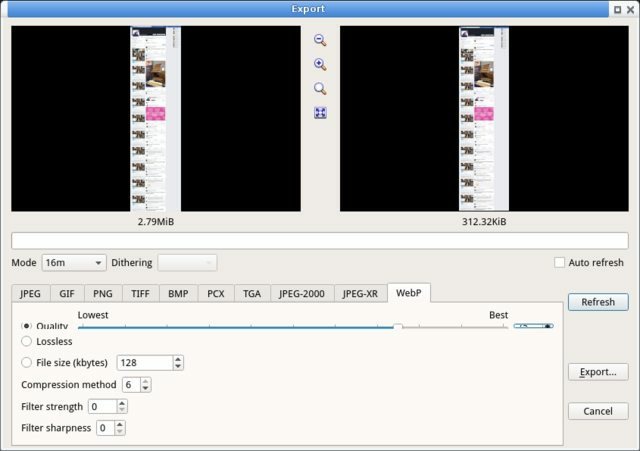 See screenshot. Both slider and spinner box seems to be partially hidden, so the quality number cannot be entered manually. Topic: Linux Mint - what should I know? Workaround by installing this package: Visual C++ 2008 SP1 Redistributable Package (x86). May I suggest that an error code appear if file cannot be overwrited, suggesting the user to check permission on that particular file or if it's write protected. Question as subject suggest. Is this possible with XnConvert, preferably without using other application to stitch together a bunch of PDF files?